Cultivated for use in sauces, conserves, and marmalades. Fruits are eaten fresh, dried, preserved in syrup, wine, sauces and unripe fruits pickled and made into olives. 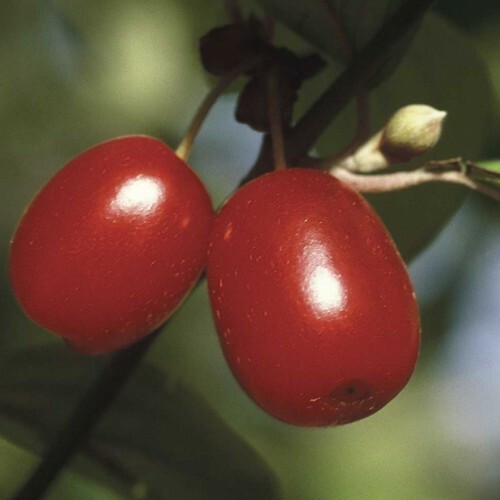 Similar in flavor to a very tart cherry. High in vitamin C and pectin. Fruits start ripening in August. 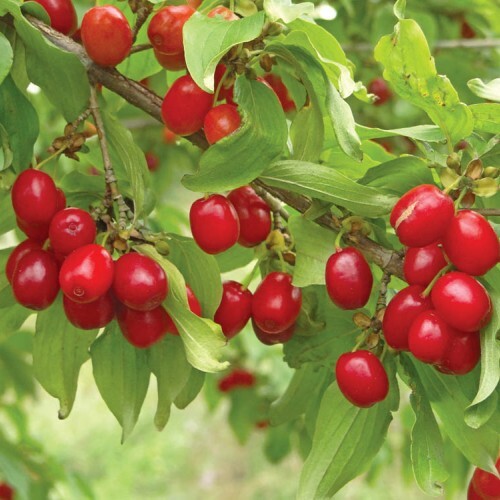 No insect or disease problems associated with the fruit or tree. Bright yellow flowers in March. Always has a good crop of fruit. 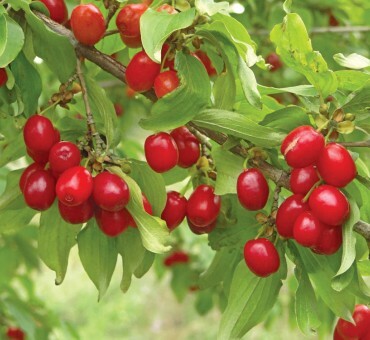 Our seed trees were grown from a selection with darker colored fruit and the Hungarian Strain. Best to let fully ripen on the trees. Fruits in 3-6 years from seedling. 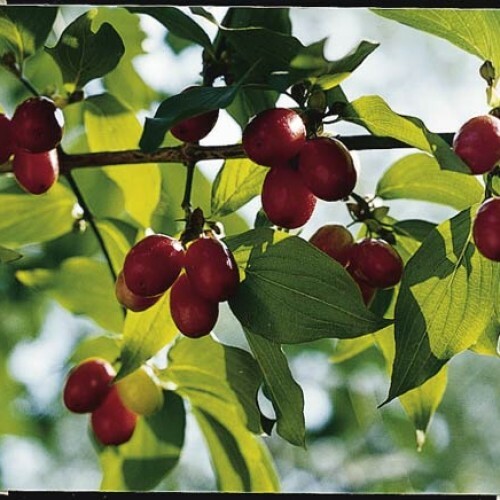 Although all dogwoods are essentially 'edible' this species really is the only one used to any extent because of its similarity to sour cherry and rich dark red sauce that can be easily produced. May need 2 plants to set fruit. Almost anything from rock to clay. Anyone can grow it. From seed it takes about 4 -6 years to fruit. Once fruiting the yields increase exponentially. Prolific and delicious.